Have you experienced irregular performance of your computer? It might sometimes be fine and sometimes it could be so slow? Are there instances wherein things happen in your computer without you even knowing? You may be due for a computer optimization or system scan to improve the performance. If your computer is not running like before, then we can take a look at your computer to re-strengthen its resources. Diagnose or troubleshoot your computer with the use of effective and high quality tools. Repair issues on operating system such as blue screens and boot issues. Optimize both the start-up and the shutdown. Clean up the menu, taskbar shortcuts and the quick launch. Clean up temporary files and registry. Install some critical system updates. All sorts of threats can manifest themselves as safe emails, website, files, etc. causing unsuspecting users to fall victims to the hardship that they cause. Data can be lost, hours of production, and confidential information exposed are some of the items to worry about. If you suspect something awry is happening with your system then give us a call and let us take a look to determine if our tools can find any threats. Or if your computer is already infected then we can take action toward eliminating the infection. 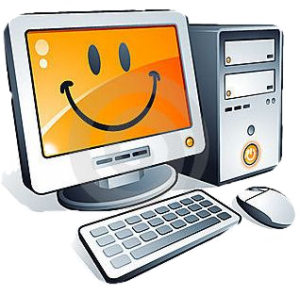 After we have verified with our scanning software that no more infections are present then we will provide you options to protect your computer in the future. And also give you some tips and advice on what to do to stay clean. Virus and Trojans are difficult to combat. The best line of defense is to be cognizant of what actions can cause your computer to be infected and do your best to avoid them.